Monthly billing ends immediately and any monthly charges are prorated. All data will remain in your account- however, you won't have access to it until you upgrade. All campaign sites and fundraising pages are taken offline. 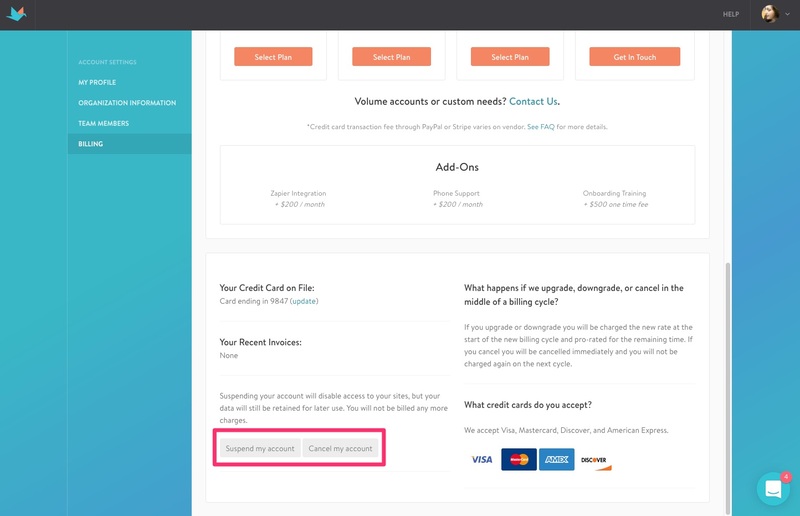 Here's our step by step instructions on How To Suspend or Cancel Your Account.